Talk about ticket of the year! It would have been nearly impossible to get your hands on tickets to the Joni Mitchell Tribute Concert, but because Trusteeship members, Rachel Moore and Lisa Specht have impeccable contacts (they are the contacts!) 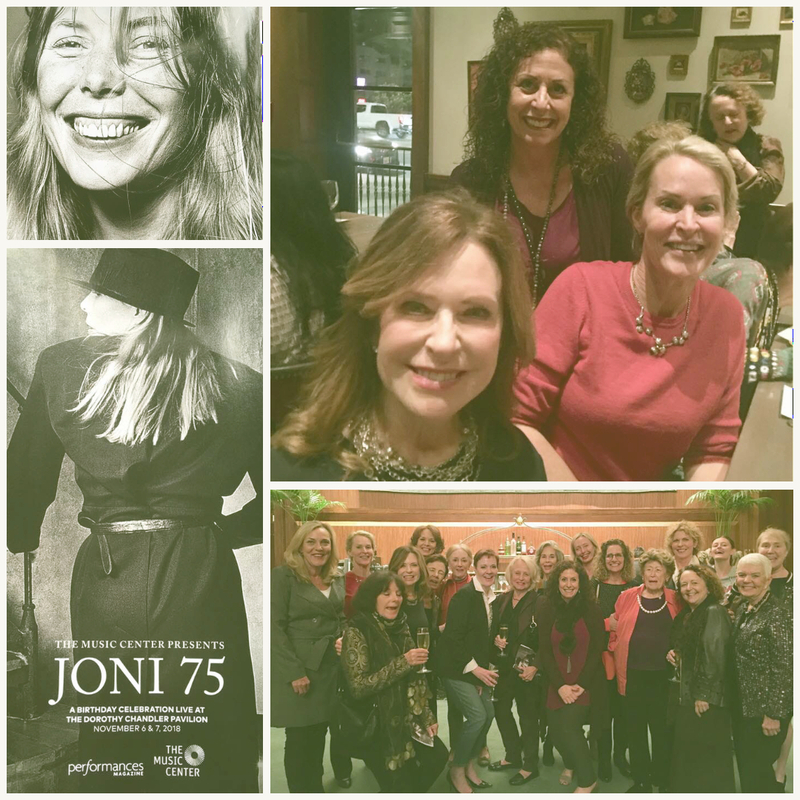 we were able to create a Trusteeship event around Joni’s amazing tribute! Rachel and Lisa also hosted a champagne salute in the exclusive Founders Room at The Dorothy Chandler Pavilion where Trusteeship members gathered during intermission and shared their enthusiasm for the great performances.